The past month has been so busy I haven’t had much of a chance to bake or blog and much as I would have love to. We head off on yet another off-road 4 wheel drive adventure tomorrow for 10 days so if I didn’t bake this now it would be never, plus this cake will be our 3am breakfast for when we hit the road – Linz to Romania. This will be our 2nd off-road adventure in Romania with a couple of friends, it’s always best to go with 2 cars as you never know where or when you will get stuck 😉 but I think the men just want us girls there to film and take action shots. We were in Romania last year, we loved it so much we are heading back. To be honest I really enjoyed it, you get to see part of the country not many people would see and the people in the rural areas are so friendly. OK, OK! I digress, let’s get on with the baking! This is the 6th bake at The Home Bakers and my 2nd bake since joining the group and I must say my fellow bakers are such an inspiration. 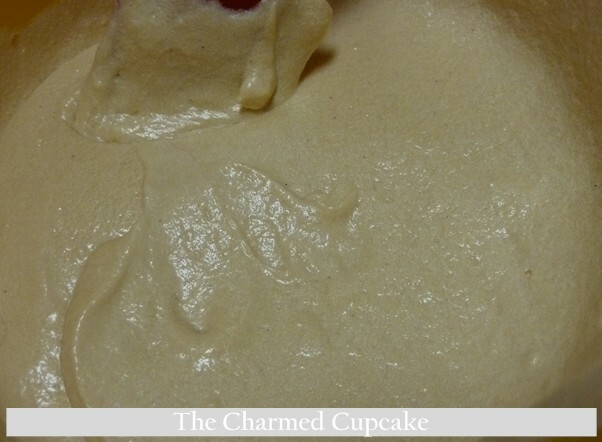 I love baking cupcakes but I wanted to improve my cake baking skills so joining this group is a fun challenge and what’s more we will be baking through one book – “Coffee Cakes” by Lou Seibert Pappas. I learn something new with each bake as well as getting to munch on different delicious cakes each month (I really need to start exercising). 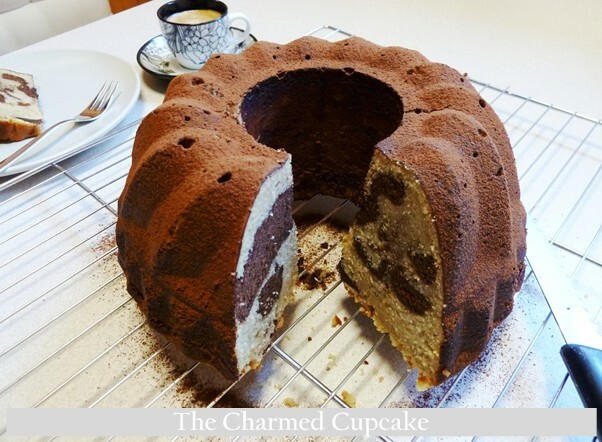 Mocha Cappuccino Marbled Coffee Cake was selected by the talented Lena of Frozen Wings. 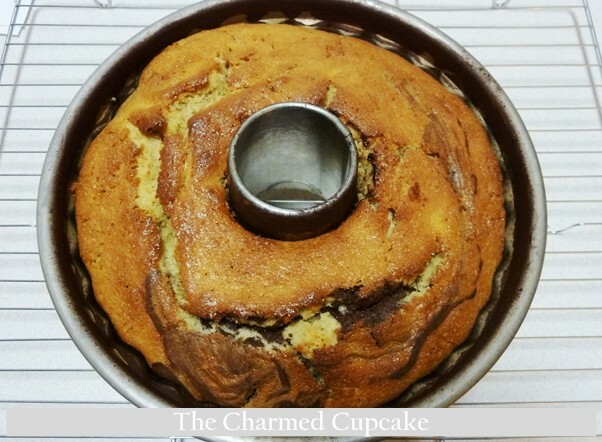 Please check out her blog for the recipe as only the host of the bake may post the recipe and for other variations to the cake baked by my fellow bakers can be viewed here – The Home Bakers. 1. Grease and flour a bundt tin with cocoa powder. Preheat oven to 176 C.
2. Dissolve the coffee and set it aside. Since moving to Europe I have become a coffee snob, also thanks to my husband. I use to drink instant coffee, I grew up with instant coffee but I can’t stomach it now, I’ve been spoilt but not to the point of drinking espressos. We love Nespresso coffee as it’s so convenient and tastes delicious so I used the Ristretto flavour (black capsule) which is the strongest flavour out of the Nespresso range. 3. 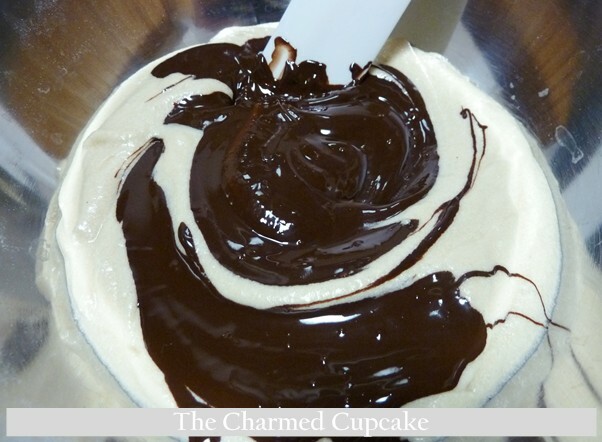 Chop the chocolate into small pieces, melt and set aside. 4. 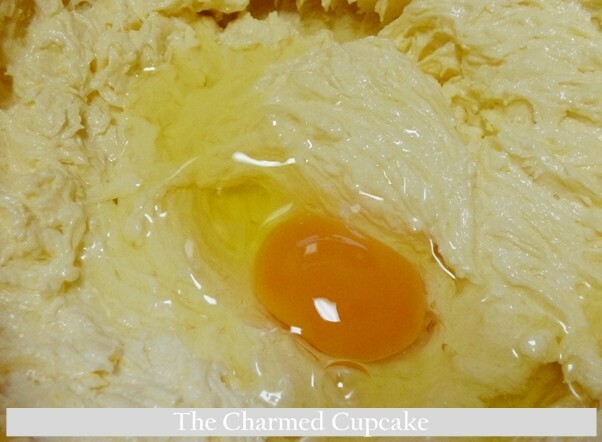 Cream the butter and sugar till pale and fluffy, then beat in the eggs one at a time. 5. Stir in vanilla essence and dissolved coffee. Beat in dry ingredients alternating with sour cream in 2 increments. 6. 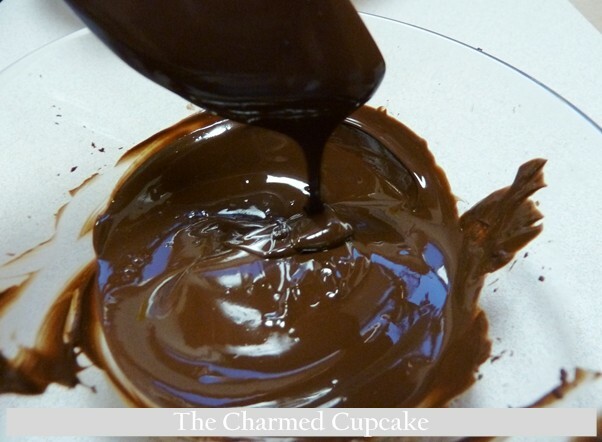 Pour 1/3 of cake batter into a bowl and stir in the melted chocolate. 7. Spoon in coffee batter, then the chocolate batter spacing them apart. I didn’t do this as I was in a rush so I layered my batter unevenly. 8. 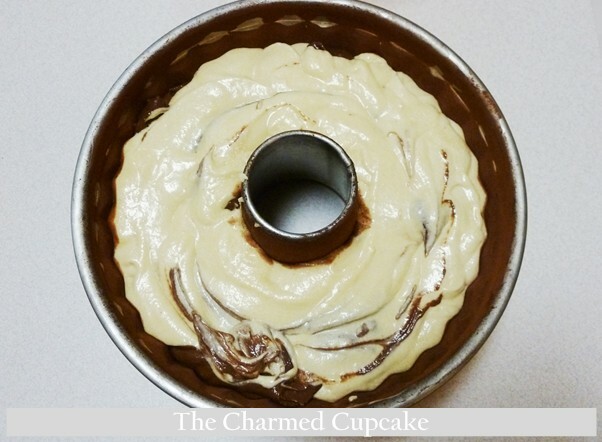 Run a knife through the batter and make swirls. 9. Bake the cake for 55 minutes on until done. 10. 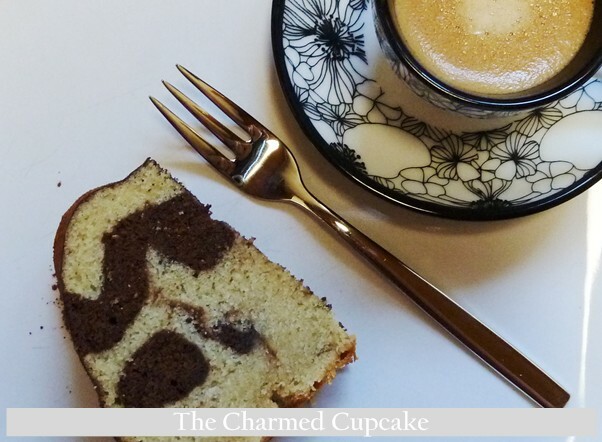 The Baked Mocha Cappuccino Marbled Coffee Cake. hmmmmmmmm……….. I see a bit of marbling but wondering what the inside will look like. I let the cake stand covered with a tea towel for 10 minutes before turning out on to a wire rack to cool. 11. The cake came away from the tin nicely and smoothly but you can see the spots where I didn’t grease and flour properly. Nothing sifted cocoa powder can’t fix. 13. Told you the sifted cocoa powder would cover up the white holes. 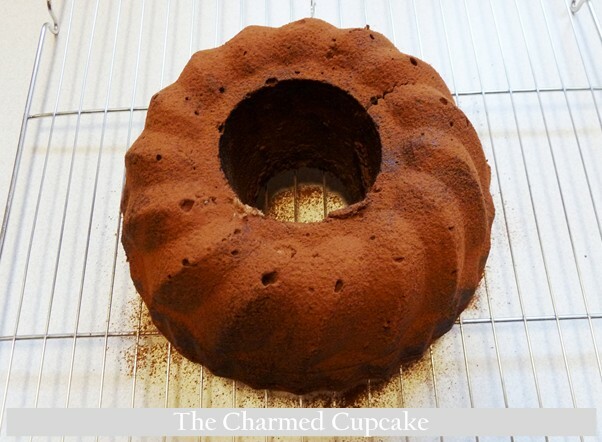 Of course you could use sifted icing sugar or pour melted chocolate over the cake. 14. Cake anyone? and of course I had to serve it with a Nespresso coffee. 15. My marbling on one side didn’t turn out so well. 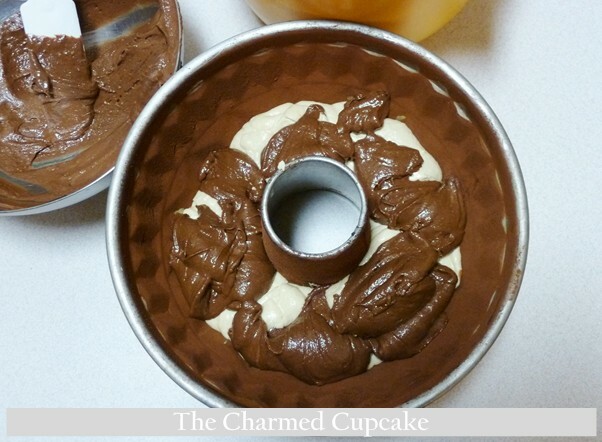 Too much chocolate on the left and not enough swirling. See you all when I am back from our off-roading holiday adventure. Here is a pic I took of what we experienced last year. I don’t think we will experience this again (I hope not) as this was in May last year, there should be no snow this time of the year! 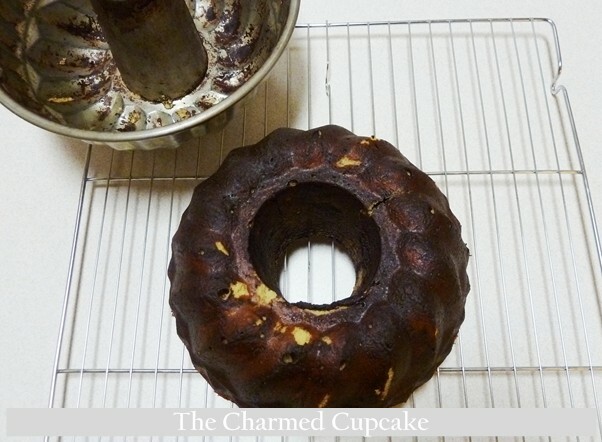 I have also entered this to the National Bundt Day UK challenge hosted by Dolly Bakes. Love the way that crust looks on your cake. Yes, it looks like it got a little scorched but I’d still chomp through it all. Thanks for following me on twitter. 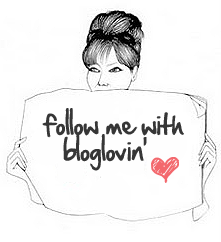 I followed ur blog in return. 😀 I need some variety besides fashion. 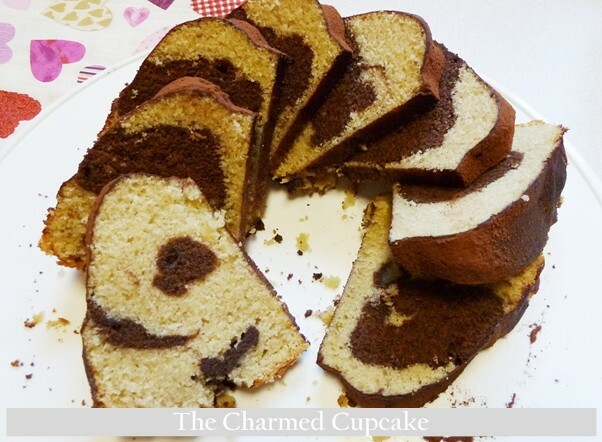 I made a zebra cake recently, but marble cake is equally good. OooOo a zebra cake!! I haven’t made one of those, it looks challenging. Zebra cake is actually pretty easy, just be careful when you pour the batter into the cake tin 🙂 Have you baked for a long time? Oh I realised I never answered your question. I’ve been baking since I was a child with my mother but only the in the last couple of years have I become really addicted. When at home my mum does all the baking & I just eat 😉 but since moving to Austria no one bakes for me so I have to bake if I want to eat what I like. Thanks Ann. This cake was delicious, I would definitely make it again. I like your pictures that help tell the story of the recipe. Nice Post! hi angela, you’re right, there’s nothing cocoa powder or icing sugar cant do, i use that to hide the ‘not so good’ looking spots too! i think all most of us enjoyed the cake too, we just started the next cake today. it is a good one too. Enjoy your road adventure, im sure it’s going to be a thrilling one! bye! Hi Angela, your swirls are perfect!! 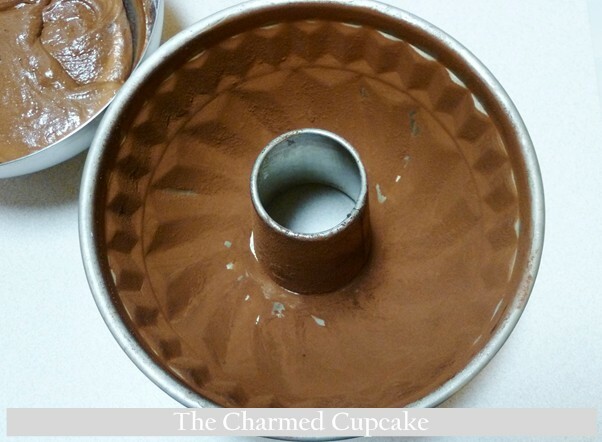 Love your bundt pan. Makes feel like getting one. 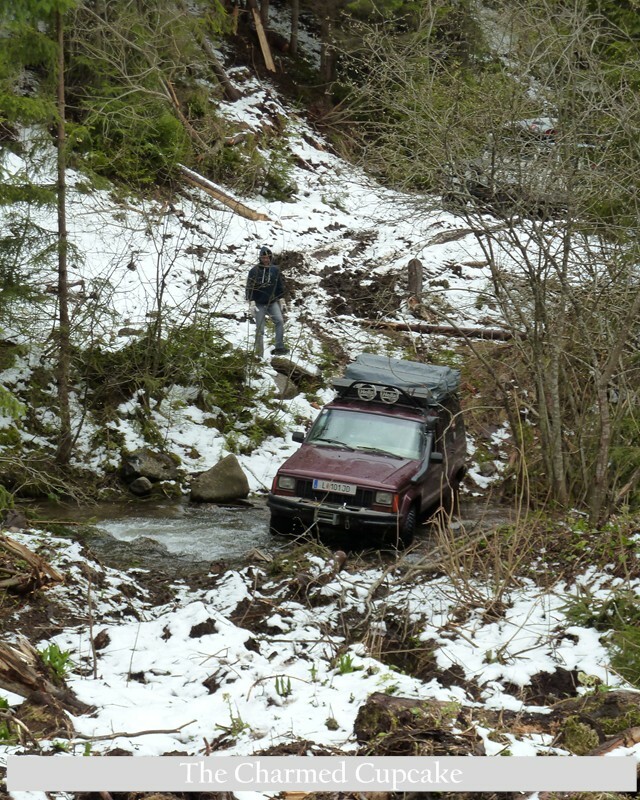 How exciting, a 4-wheel drive adventure! Just like Alice says, your cake is making wish I have a slice right now. 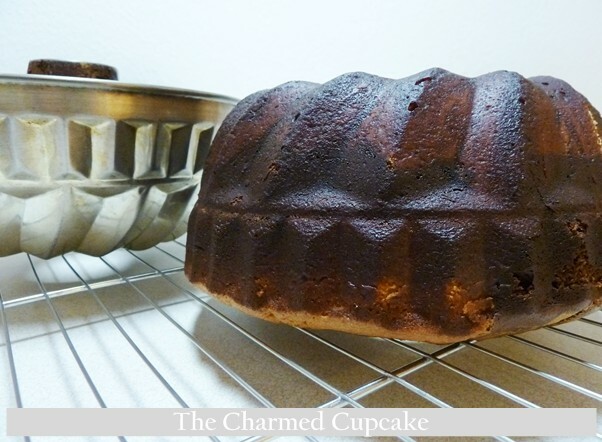 Your bundt pan is practically an “antique”, a treasure that is to be passed down to your own kids! I’m glad that you have made this cake, it really is delicious! Enjoy your breakfast and have a good and safe trip! Thanks Joyce. I’m really glad I made time to bake this cake amongst a hectic schedule. 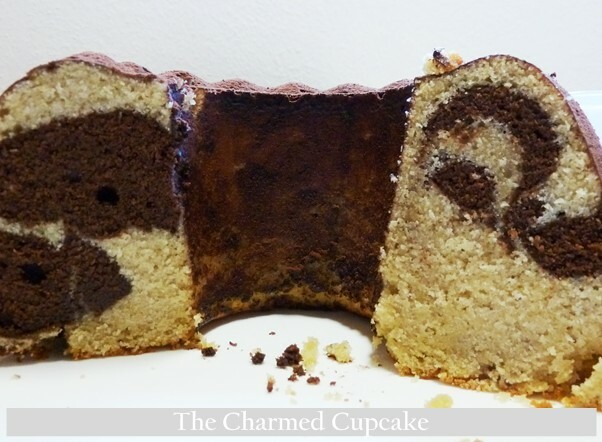 I do love a good marble cake. This is actually the first time I used this tin, i don’t think my m-i-l has used it for years but once I scrubbed it clean it was almost like brand new. I saw your post about the strawberry cake, turned out great!!! Your ‘blunders’ turned out to be experimental wonders gone right 😉 and I love the idea of the nuts and sugar on top. 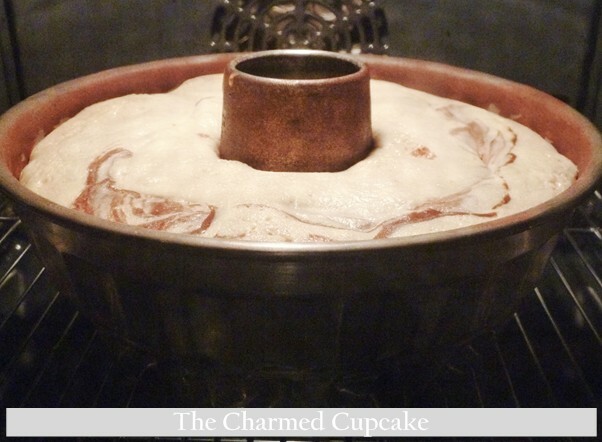 I hope I still have time to bake this when I return. and how i am now being reminded of how delicious this cake is! Love the saucer with the marbled cake. The cake sounds delicious, too.